WebMD thinks it’s fantastic we all have devices collecting data on our health now, but do we really understand it? WebMD Healthy Target is a new tool within the health company’s iOS app that is aiming to make sure we completely understand all of the date our health trackers are collecting on us. The app will take all of the data from activity trackers, connected scales and glucose meters and will deliver physician-reviewed, relevant content and tips to help you achieve your goals and improve your health. While it has something to offer everyone that is working out or managing their health, it will be especially helpful to those with conditions such as Type 2 diabetes and obesity. Those of you with devices such as Entra, Fitbit, UP by Jawbone and Withings will see your steps, sleep, weight and blood glucose data turned into actionable data, something that has been sorely lacking in the health gadget field. While it has been nice to see so many devices tracking all of this information, it has generally just been a collection of seemingly meaningless numbers to many people. If Healthy Target can actually make people understand all of it, then it will be well worth the download. One does have to wonder why the fitness gadget makers hadn’t already done this, but it’s good to see someone has. 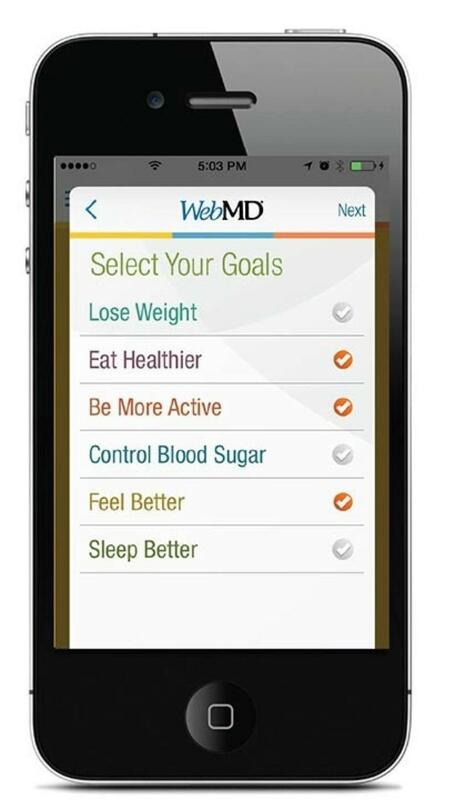 WebMD Healthy Target can be found in the WebMD app in the App Store and is already available. NEW YORK, June 16, 2014 /PRNewswire/ — Today, WebMD Health Corp. (NASDAQ: WBMD) launched WebMD Healthy Target, an integrated health improvement program that uses biometric device data from activity trackers, wireless scales and glucose meters to deliver tailored, physician-reviewed, contextually relevant content and motivational tips to individuals looking to develop sustainable health-conscious habits. WebMD Healthy Target will provide valuable assistance to individuals looking to manage chronic conditions like Type 2 diabetes and obesity, as well as to a broader audience interested in achieving their fitness goals or more generally living a healthier lifestyle. 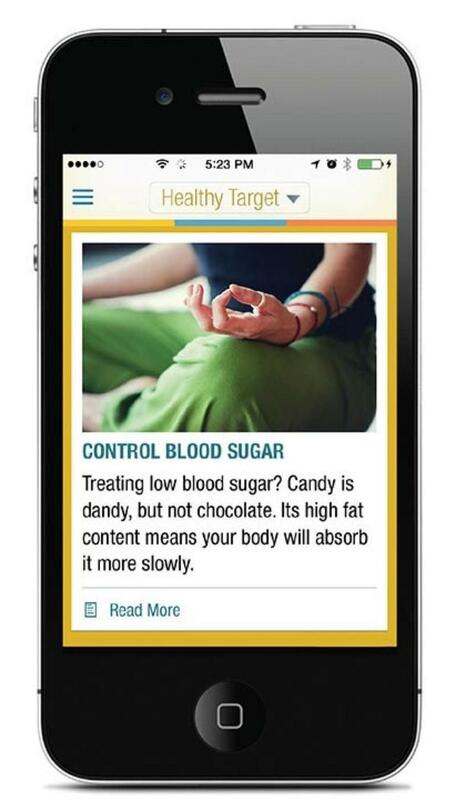 Available within WebMD’s flagship mobile app for iPhone, Healthy Target can translate step, sleep, weight and blood glucose data from multiple well-known device manufacturers, including Entra, Fitbit, UP by Jawbone and Withings, into actionable insights. 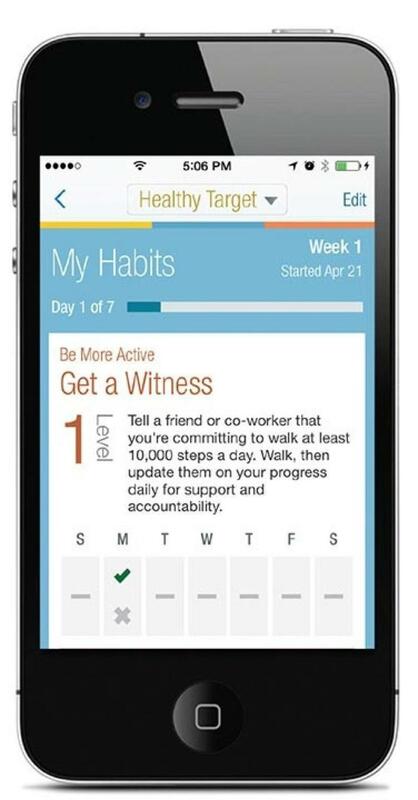 In addition, iPhone 5s users have the option to track their steps with their smartphone. Users can manually input their biometric data into Healthy Target or connect their devices. Healthy Target empowers users to live a healthier life and achieve their health and fitness goals by informing and educating users with the latest physician-reviewed content mapped against attainable user goals and suggested positive habits. Goal Setting. Healthy Target enables users to choose from six goals: 1) lose weight 2) eat healthier 3) be more active 4) control blood sugar 5) sleep better 6) feel better. 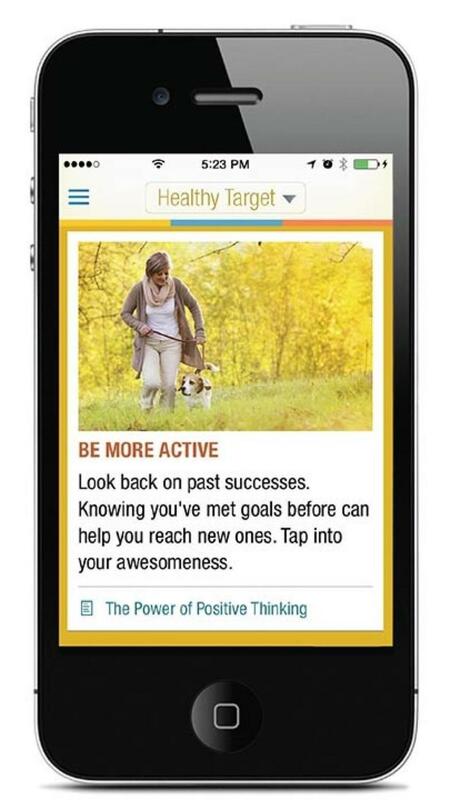 Once goals are selected, Healthy Target recommends proven habits that can help users reach their goals. Goals can be added or changed at any time. Habit Intensity & Tracking. Each habit has three levels: easy, medium, and hard. Users start a new habit at the easy level — each habit lasting for one week – track their progress, and use reminders to help ensure they do their habits on a regular basis. They can change or restart their habits at any time. As they move further along the program, their healthy habits and wellness continue to grow. Data Understanding. Providing a complete summary of a user’s biometric data, Healthy Target incorporates easy-to-understand visuals so users can clearly see changes in their sleep, step counts, weight, and blood sugar over time. Progress Report & Inspiration. In addition to daily snapshots that monitor progress, users are provided weekly recaps analyzing their success towards achieving their goals as determined by the data they provide. In addition to the assessment, users will receive personalized tips to encourage them to become more successful moving forward. Consumers ready to take control of their health can learn more about Healthy Target by visiting http://www.webmd.com/webmdapp and downloading it from the App Store, http://wb.md/1uZudxA.